Wuhan won the “2015 Chinese Sustainable Development City Award” of the United Nations Development Program with the highest score, local media reported. The award mainly considers low input, high output, strong environmental protection and small influence on environment. The 2015 Chinese City Sustainable Development Report was released on Dec. 29 by the United Nations Development Program and Xinhua News Agency. It is the first city sustainable development evaluation report released in China after the 17 sustainable development goals approved by 193 member countries in September 2015. 35 large and medium-sized cities and 16 above prefecture level cities in Yangtze River Delta were divided into four types: high human development low ecological input (sustainable), high human development high ecological input (relatively sustainable), low human development low ecological input (relatively sustainable), low human development high ecological input (unsustainable). 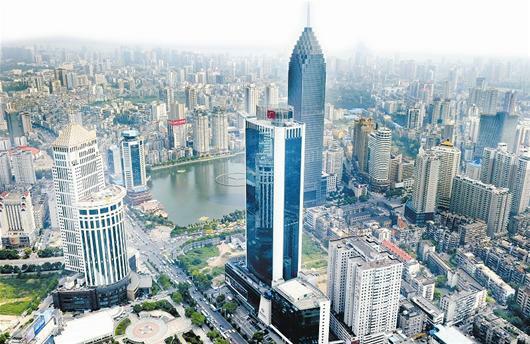 Wuhan city, capital of central China’s Hubei is gaining domestic and foreign recognition in the field of green and low-carbon development. The city was been awarded C40 Cities Awards in early December.